Will Nodules on My Vocal Cords Come Back After Surgery? There’s hardly anything more distressing than to damage your voice. If you’re a singer, it’s catastrophic. Inside this video, I’ll deliver the distressing news about vocal nodules returning. Watch! Hi, I’m Chuck Gilmore with Power To Sing. Will Nodules on My Vocal Cords Come Back After Surgery? I’m afraid there’s a very strong possibility the nodules will return. Why? They will absolutely return if you fail to fix the problem or problems that caused the nodules. In the case of a singer, nodules, blister like formations on the vocal cords, are frequently caused by vocal abuse. Much of the time the abuse is improper singing. Here are some ways singers abuse and injure their voices which may result in nodules. Nodules can be causes by any one of these things. Sometimes it’s a combination of several of these. #1. Pulling the chest voice and larynx up too high. This causes an enormous amount of stress on the vocal cords. The abuse is so great that vocal blisters or nodules form on each vocal cord…adjacent to each other. This injury prevents the cords from closing completely. This causes the voice to sound raspy, airy, hoarse and tired. We avoid using the injured portion of the cords, so singing or speaking is difficult or labored. #3. Singing with an Illness, allergies or other vocal problems. Often we take medications to remove the pain or swelling of a sore throat. The medications make us feel better than we are. Then we sing hard and long and damage the cords. #4. Overuse through long hours of singing or talking; inadequate sleep; lack of hydration, etc. #5. Lifestyle choices. Drinking alcohol, smoking, drugs, etc. 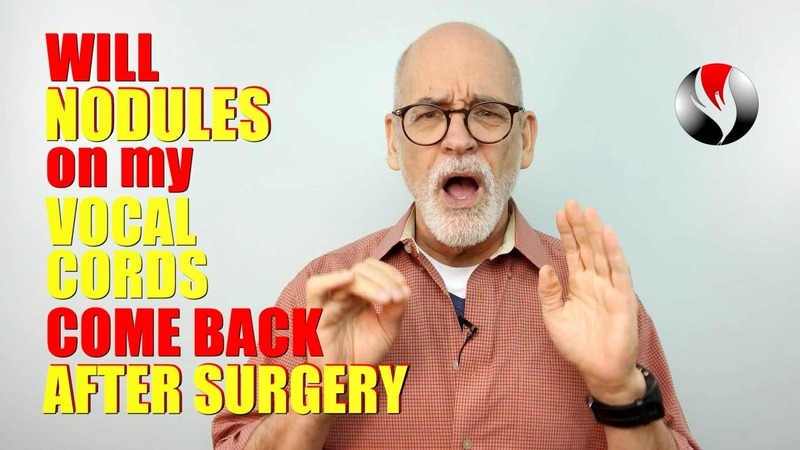 If you have surgery to remove nodules from your vocal cords and you continue doing any of the above things, there is a high probability you will re-injure your vocal cords. #1. Correct your vocal technique. Learn to bridge from chest into head voice without pulling the chest voice or reaching and straining the larynx upward. Develop your ability to sing with a Mix of Chest and Head voice in the bridges of the voice. Sing with a balanced voice. Learning your vocal type will help improve your vocal technique. Your vocal type describes how you sing from chest to head voice. Download the free PDF, “Get Your Vocal Type”. It has links to a vocal test, which I call the PowerTest. Take the quiz and discover your vocal type. The PDF will take you to videos about your vocal type and provide links to free exercises for each vocal type. The exercises for your vocal type will help you sing easily from chest to head voice without straining, cracking, breaking or falsetto. Doing this will give you the vocal technique to sing great and sing a lifetime without injury. You can download the PDF here, or in the Youtube description below this video. #3. Don’t scream and yell. #4. If you make your living singing or speaking all day, do vocal warm-ups and warm-downs each day, speak with the assistance of the diaphragm and comfortably project your voice. Plan for adequate rest between gigs or work. Get plenty of sleep and stay hydrated. #5. Make healthy lifestyle choices that will preserve your voice into your old age. You’ll live longer, healthier, and you’ll be able to use your voice all your life. If you do these things, there is a strong likelihood the nodules will not return. If you don’t do these things, save your money. Your career may be short. If you liked this video give it a thumbs up, subscribe, click on the bell to get notifications and share it with a friend. 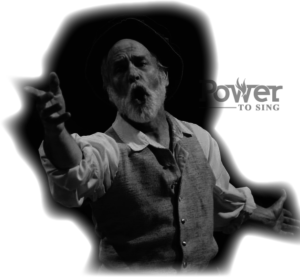 Also be sure to join me at Twitter, Facebook and Instagram @PowerToSing. I’m Chuck Gilmore with Power To Sing. You can sing higher with beauty, confidence and power. I’ll see you inside the next video.